You have a very specific vision for your big day. Good! Let me help create a custom invitation suite that fits you perfectly. Your pieces will be created by hand, and customized so they’re just right for you. Will you love it so much you’ll keep it forever and maybe even do a little scrapbooking? Let’s hope so! Congratulations! I’m so excited at the prospect of working with you to design your wedding stationery. If you’re interested in learning more, please fill out the form to the right and I’ll get in touch with you to discuss details and next steps. 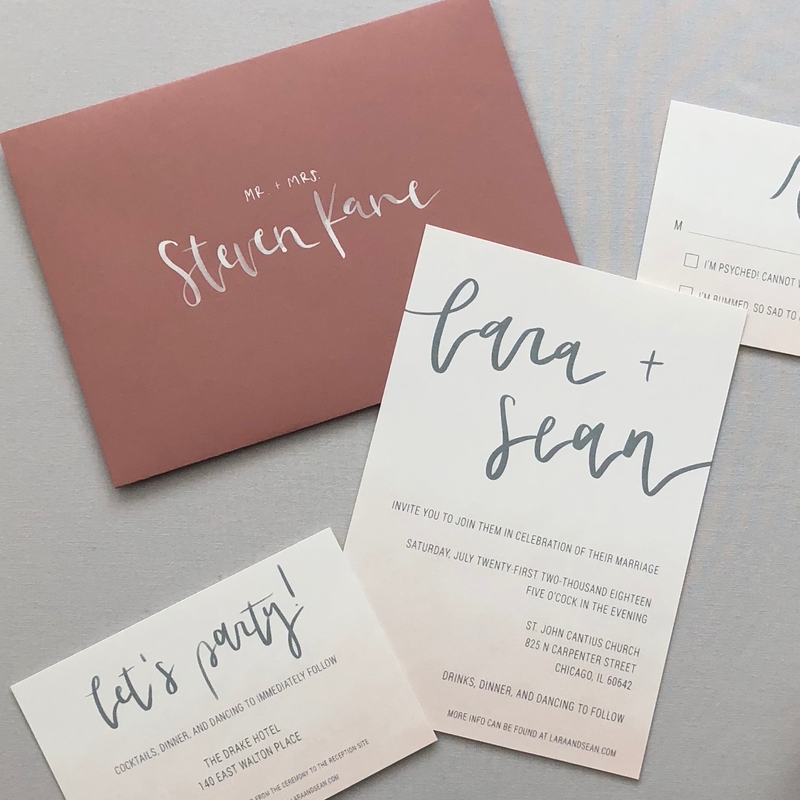 There are a few factors that determine the timeline of your order, but it’s best to allocate anywhere from 2-3 months from the date you’d like to send out your invitations for design and production. For more information and some FAQs, click below! Your wedding stationery is an investment, and my goal is to make sure whatever we create feels absolutely perfect. My typical bride will generally set aside 3-5% of her total wedding budget for stationery. That said, every scenario is different and we can work together to find an investment level that fits your unique needs.